People today are busier than ever. Between pursuing their careers, caring for their kids, and juggling all the other responsibilities, most people don’t have a lot of time left over for housekeeping. Our culture has changed. An increasing number of women are working full-time. So the traditional concept of the stay at home mom is becoming increasingly archaic. At the same time, homes aren’t cleaning themselves. Most houses, condos, and apartments require constant attention just to maintain basic sanitation standards. House Cleaning Boca Raton — Help Is Here! These days, just about everybody could use a little extra help when it comes to keeping up with their housekeeping duties. Perhaps that’s why maid services are one of the fastest growing industries in the US. More and more homeowners are realizing that they occasionally need the help of professionals to keep their homes looking the way they want them to look. Maintaining the cleanliness of your home isn’t just a cosmetic issue. It’s also critical to your family’s health. A messy house doesn’t just reflect poorly on you. It can also increase the danger to your children. Fortunately, Posh Home offers comprehensive professional housekeeping services for homeowners throughout South Florida. Now everybody can benefit from the occasional home cleaning help they need to maintain the standards they expect. 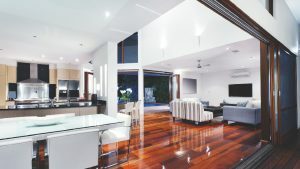 Whether you need one-time cleaning or a standing weekly, bi-weekly, or monthly cleaning appointment, the professional house cleaners from Posh Home can clean your home and leave it looking sparkling bright and clean according to your schedule. So stop worrying about whether or not you can keep up with your housekeeping duties and call the professionals at Posh Home. We’re ready to give you the helping hand you need to keep your home looking its best at all times.